Consider a one-stop shop for design, project management and construction. Do you feel overwhelmed at the thought of organising your new project? Does the idea of contacting countless trades and companies, from electricians and designers to groundwork contractors, fill you with dread? How will you know which companies you can trust? How will you find the time? 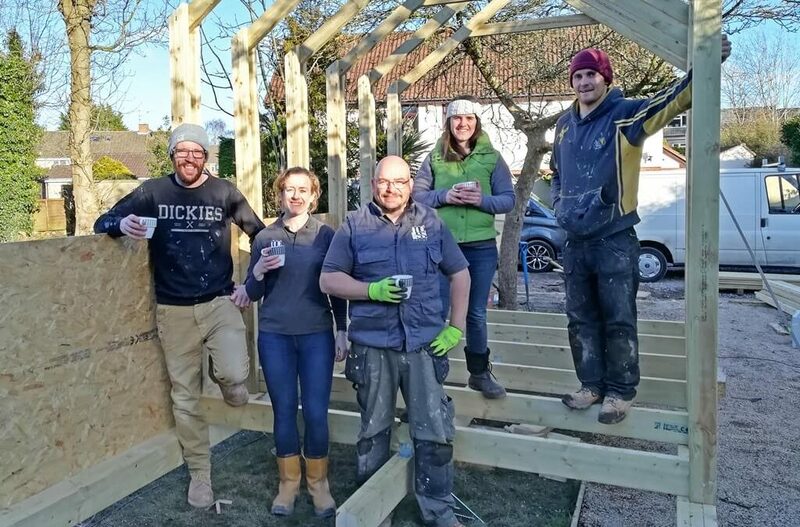 If you’re looking to build a home extension, a garden room, a home office or any other extra space, you will undoubtedly be finding that there are numerous things to consider and a vast range of people to contact about each stage of the work. But, it doesn’t have to be as hard as the construction industry makes it out to be, honestly. There can be an unnecessary maze of hazards that leave you wondering if you are ever going to get what you wanted within budget, within your time scale and as beautiful as you had dreamed. Too often, the end result is not what you expected. We’ve seen clients being taken advantage of too many times and come across one too many shoddy examples of workmanship. This is exactly why we have set up our own Design and Build company. During our careers as architects and designers we have gotten to know a whole bunch of wonderful craftsmen intent on providing a brilliant service and outstanding work. We realised we could ensure that every one of our clients has the best and easiest experience possible if we created our own complete team. Other that quality control, having one company that you can build a relationship with and trust to take on all the nitty gritty is such a relief and gives you someone to go to with all your queries and concerns. Not to mention taking the risks away from you with properly set up contracts and protecting you from cowboy trades! And once your project is complete, you will receive a comprehensive handover pack with everything written down and all recorded and certified, in case you ever need to refer to it. MOSS’ no-hassle service aims to take all the stress out of your project. We make sure the process is smooth, with your involvement in every step. And – importantly – we are transparent from the start when it comes to costing: you will never sign up to a pod installation without knowing the full price. There are no sneaky additions, which is usually the case when managing a range of contractors and our clients have been impressed with how we’ve adapted to changes in a no-fuss manner. Have a read of our testimonials to hear more about our MOSS customers’ experiences.